To address challenges related to competitiveness, organisations often look beyond industry partners to academic collaborators for innovation. Collaboration between industry and academia supports improvement and innovation in the industry and helps to ensure industrial relevance in academic research. To address challenges related to competitiveness, organisations often look beyond industry partners to academic collaborators for innovation. However, successful collaboration doesn’t just happen, it must be carefully planned and nurtured. It’s, therefore, important to fully understand what makes such collaboration a success. Eminent educators from India and the UK, including Dr Naushad Forbes, President, Confederation of Indian Industry; Prof Sir Martin Sweeting, Executive Chairman, Surrey Satellites Technology Ltd; Sir Keith Burnett, Vice Chancellor, University of Sheffield; Manjul Joshipura, Cadila Pharmaceuticals Ltd; Andrew Wathey CBE, Vice Chancellor & Chief Executive, Northumbria University; Prof Partha P Chakraborty, Director, Indian Institute of Technology-Kharagpur and Dr Arabinda Mitra, Head – International Cooperation (Bilateral), Department of Science and Technology, Government of India spoke on Industry-academia partnerships at the India-UK Higher education Summit. According to Sweeting, “Collaboration between industry and academia is very crucial for advancement.” He said that more investment of government on universities opens for exploration. He stressed on reinvestment of profits generated on research as it brings about sustainable development that ultimately contributes to well being and security. The industrial partners usually have only a limited number of academic institutions with whom to partner. Initial interactions are fraught with pitfalls. It requires time to develop mutual confidence. The industrial partner needs a reasonable assurance that the academic research has a good chance to be successful. Longer relationship offers better chances of success and maintenance of confidentiality. As Mitra puts it, “Industry needs to push people to come to academia. Academia needs to make innovative mechanisms to motivate the process of innovation and research.” The Indian government, to contribute towards this growth, will be launching the Prime Minister academia program with a focus on people, project and translation. Innovation fellowship between India and UK has also been started. “India is basically a minds-on country rather than a hands-on country, but Prime Minister’s Skill India mission and new campaigns for skill improving would be very helpful,” Mitra further adds. Regardless of partners, collaborative success rests on three principles: a mutual interest in a common, achievable goal; constant communication about expectations, timelines, and rewards; and transparency throughout the project. Almost all roadblocks to collaboration have not been the project but problems with human interactions—a lack of understanding requirements. It’s important to have conversations in which all partners explain what they need from the collaboration: funding, deliverables, publications, patents. 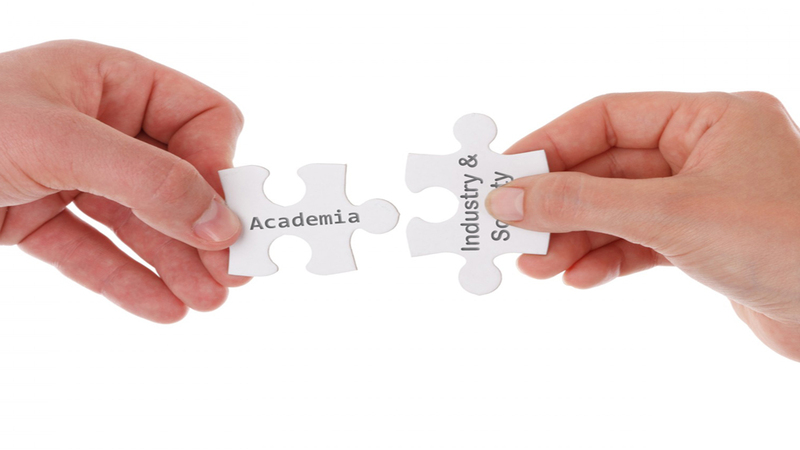 A good industry-academic partnership is set up from the start as a win-win for all sides. How education defines Pune’s property market..